In my 12+ years in NYC, I’ve generally tried to avoid waiting in line for things. This mostly applies to food, since I’m not myself when I’m hangry. I don’t go to Shopsin’s on a Saturday and, for a while, anything with food trucks was a no-go. 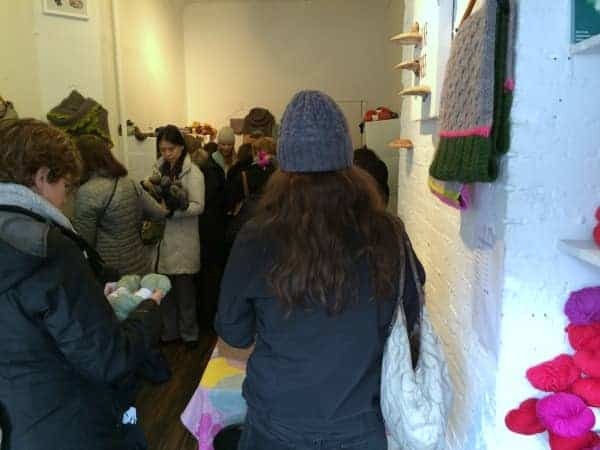 I knew the Plucky Knitter trunk show at the now-former, tiny Greenpoint location of Gauge + Tension (which is moving to its new location at the Brooklyn Craft Company on Feb. 7!) was going to take a while but, as most fiber-related things are, it was worth the wait, and of course the line was full of beautiful handknits to admire. I got there around 10:20 a.m., and probably waited an hour or so to get in, but had a lot of fun meeting and chatting with the knitters I met in line. Sarah and Hayley, along with designer Amy Miller, were the perfect hostesses, supplying us knitters waiting out in a cold, misty rain with Dunkin’ Donuts coffee and Baked By Melissa cupcakes. 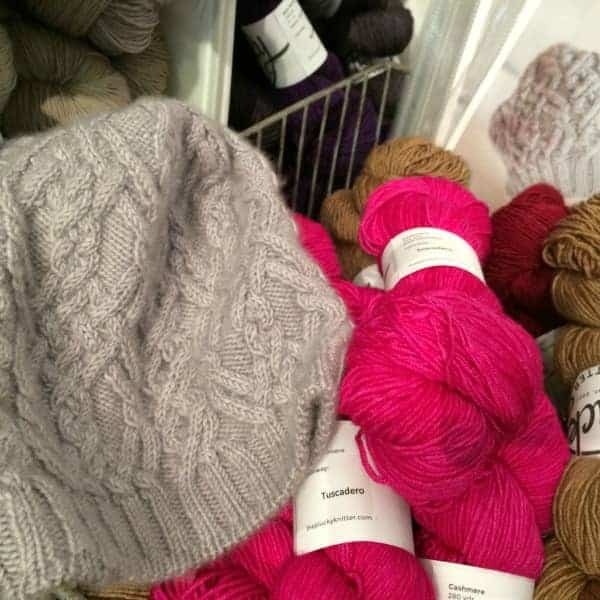 Michele, the mastermind behind G+T and the Plucky trunk show, knit the gorgeous cabled hat above, her new design called Treccia, with the ultra-luxurious pure Cashmere. 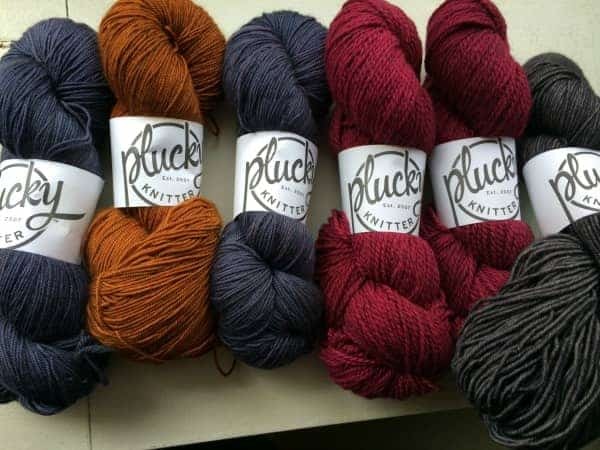 Since the only Plucky yarns I’ve used are Primo Sport and Worsted, as well as Cozy, I enjoyed the opportunity to see the bases I wasn’t as familiar with, including Bello and Scholar, in one place, and how the brilliantly-named colorways, like Dive Bar and Tiny Bubbles, end up looking slightly different on each one. The shopping was a bit frenzied which, given how fast Plucky updates sell out, I was expecting. 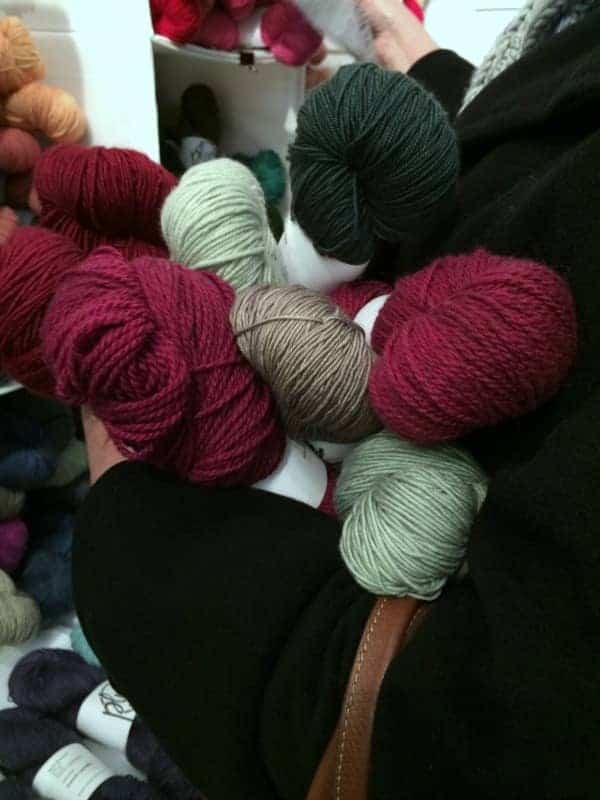 But there was plenty of yarn to go around, including a ton of the special colorways (olive Greenpoint, golden Williamsburg, and Brownstone, a rusty orange that was my fave) and everyone was happy to direct people to the different areas and answer questions. 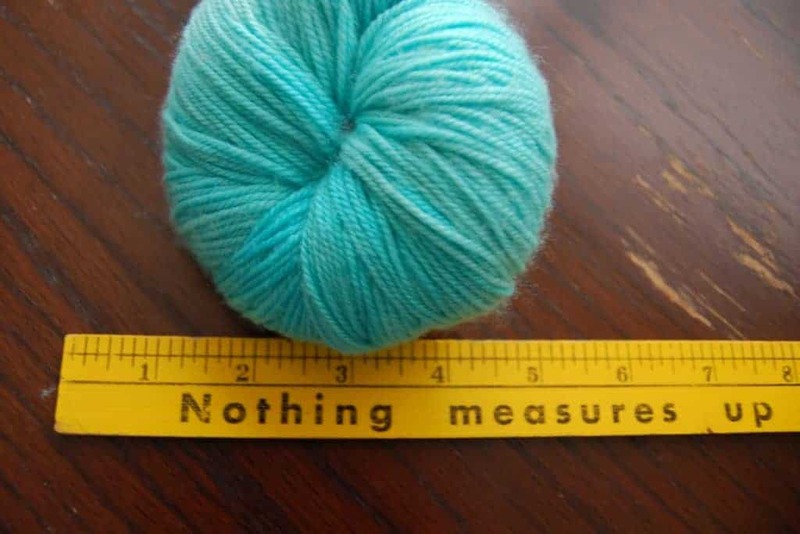 Knitters are awesome like that. 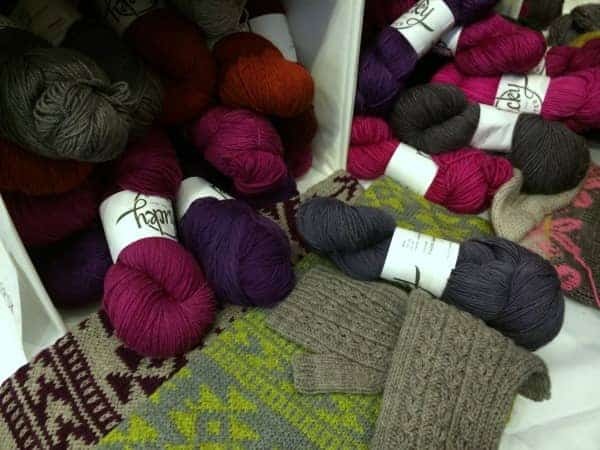 There were some really fantastic samples, especially of colorwork in the bold and unexpected combinations that Sarah is known for. My haul: Bello in French Laundry and Brownstone, which I think I’ll turn into Amy Miller’s Bees to Honey; Scholar in Strawberry wine, which may become boot toppers, but I’m also eyeing some hats; and Primo Sport in Round Table, which is designated for a wurm for my husband. 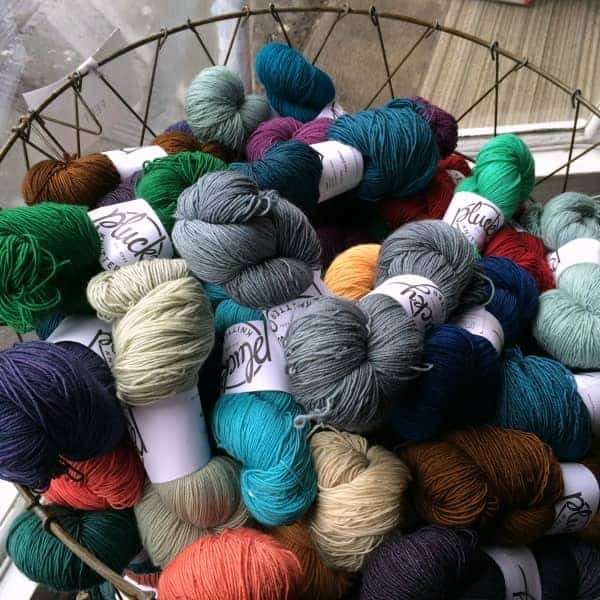 While I’ll probably still be scouring destashes for my red whale — Hayley’s Bleedin’ Armadillo Groom’s Cake, a Plucky Classics club color that I want for both the color and the name — I’m in love with everything I got. This entry was posted in Indies and tagged Brooklyn, Gauge + Tension, indies, NYC, The Plucky Knitter, trunk show, yarn, yarn store. That was a super fun excursion. 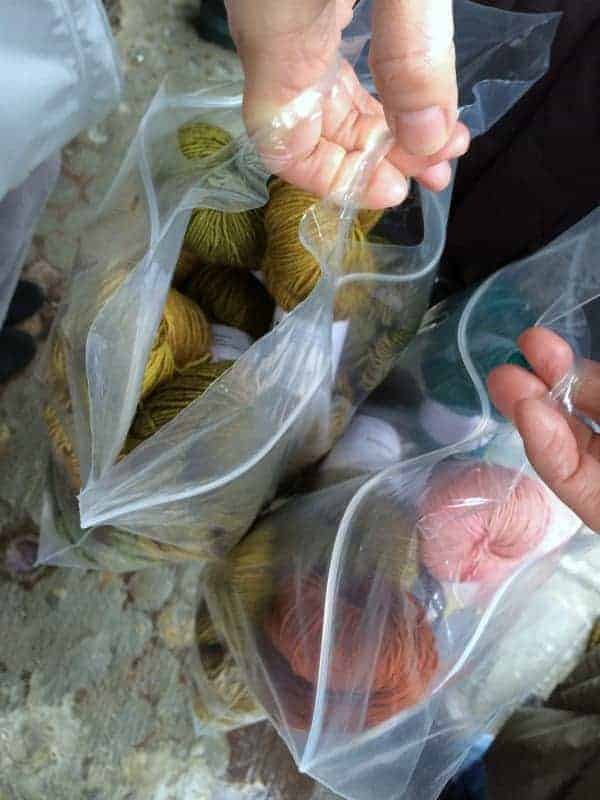 Most of the cashmere had been snapped up by the time I got there, but I still found ways to spend far more than I should have. That said, I already have plans for every single skein I bought, so I don’t feel TOO bad.